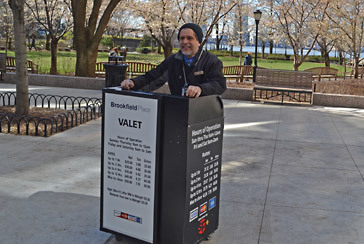 Convenient parking is available near Hudson Eats at Brookfield Place, lower Manhattan's newest dining destination. 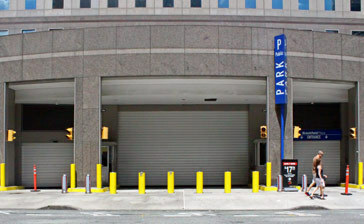 Hourly parking is available for diners and visitors at 250 Vesey Street and 200 Liberty Street. 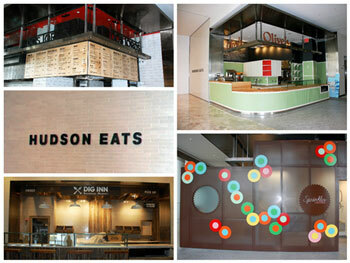 Brookfield Place has spiced up Battery Park City's food scene with the opening of its new food hall, Hudson Eats. Located on the 2nd Level of the Winter Garden, the 30,000 square-foot food court features amazing views of the Hudson River, and 13 casual eateries. 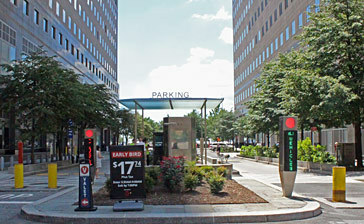 The food court is open for breakfast, lunch, and dinner, seven days a week, from 7 am to 9 pm. Hudson Eat Vendors Include: Black Seed, Blue Ribbon Sushi, Chop't, Dig Inn, Dos Toros, Little Muenster, Might Quinn's, Num Pang, Olive's, Skinny Pizza, Sprinkle's, Tartinery, and Umami Burger.